Free to play Sonic Runners launching worldwide June 25th - Use a Potion! The latest entry in the Sonic The Hedgehog series is Sonic Runners, an 2D endless runner set in the style of the old 16 bit Sonic games and being developed by Sonic Team. The free to play title came out in Japan earlier this year, but is launching worldwide June 25th. 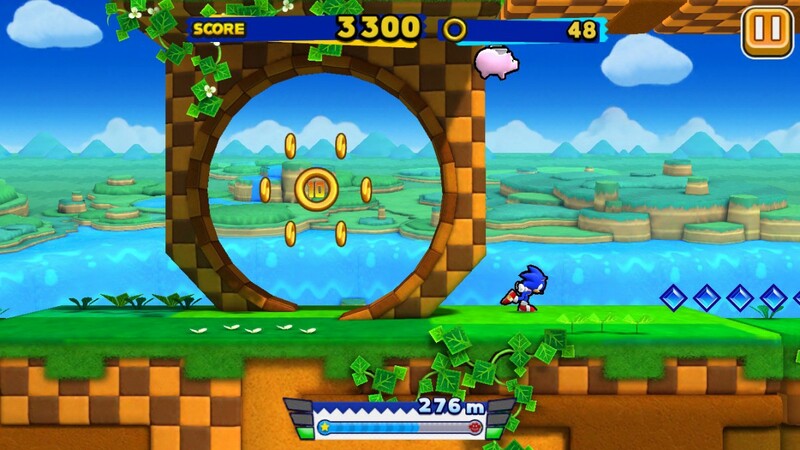 Sonic Runners modernizes the classic look of the Sonic Franchise, with re-imaginings of the 16 bit environments to run, smash and fly through, collecting as many rings and gems as possible along the way. You’ll encounter classic enemies along the way, including of course Dr Robotnik (I’ll always prefer Robotnik over Eggman). You can control either Sonic, Knuckles or Tails but there’ll be other characters to unlock along the way too. I’m not a big fan of free to play games, but Sonic has a special place in my heart – I’ll definitely be checking out Sonic Runners June 25th.